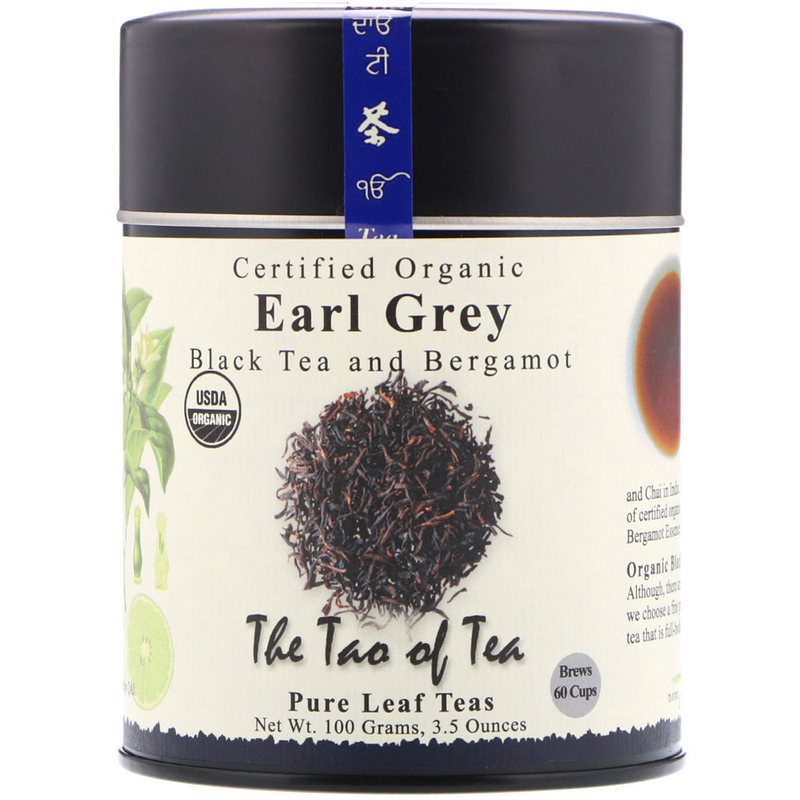 Origin Blend - Earl Grey is probably the most well known tea in the west and perhaps the first scented tea. Its popularity parallels that of Jasmine tea in China, and Chai in India. This is a hand crafted blend of certified organic black tea and organic Bergamot Essence. Organic Black Tea - Although, there are several types of black teas, we choose only a fine grade of Assam organic black tea that is full-bodied, smooth and rich taste. 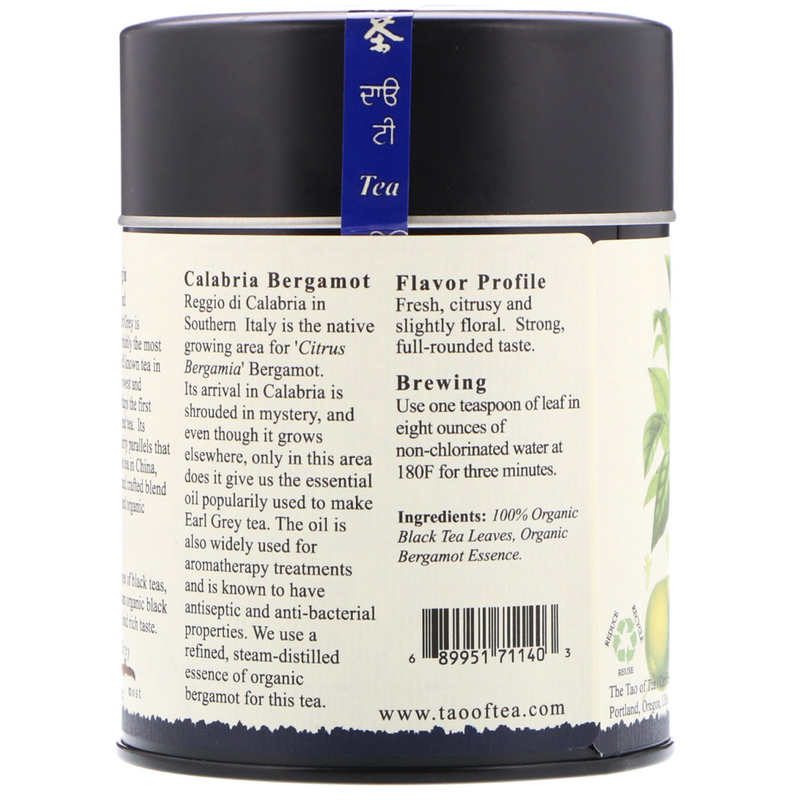 Calabria Bergamot - Reggio di Calabria in Southern Italy is the native growing area for 'Citrus Bergamia' Bergamot. Its arrival in Calabria is shrouded in mystery, and even though it grows elsewhere, only in this area does it give us the essential oil popularity used to make Earl Grey tea. The oil is also widely used for aromatherapy treatments and is known to have antiseptic and anti-bacterial properties. We use a refined, steam-distilled essence of organic bergamot for this tea. Flavor Profile - Fresh, citrusy and slightly floral. Strong, full-rounded taste. Use one teaspoon of leaf in eight ounces of non-chlorinated water at 180F for three minutes. 100% Organic black tea leaves, organic bergamot essence.